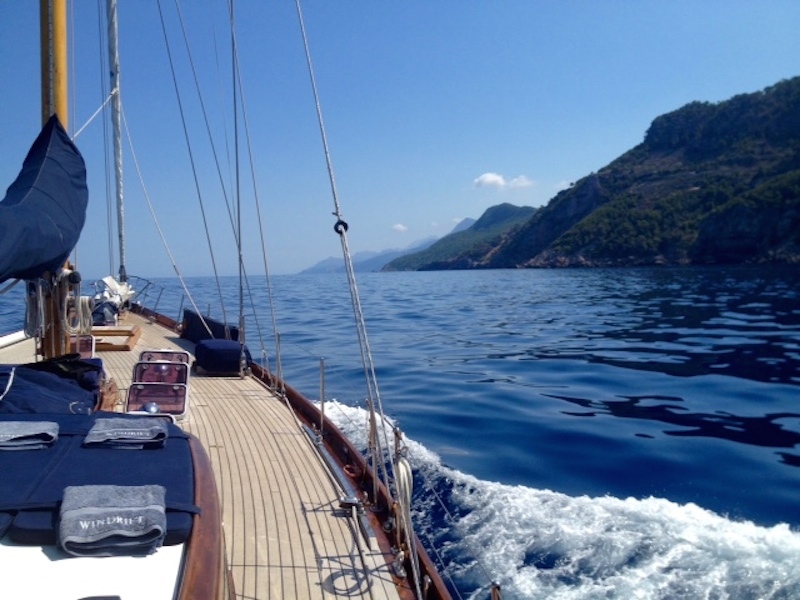 Guests max: 6-8 week charter, day charter 10 pers. , Regatta max. 12 Per. 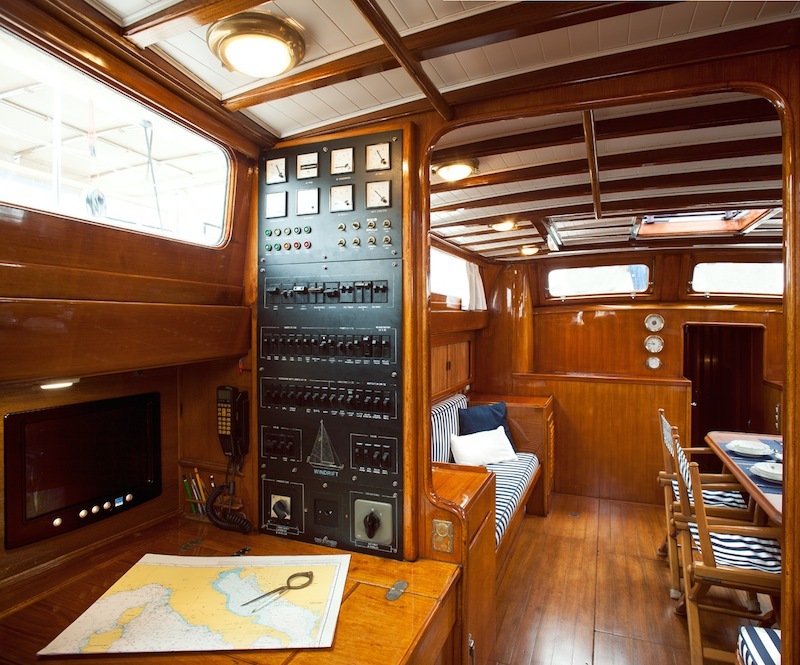 Classic Yacht Windrift a 77ft yacht from the Italian designer Sangermani. Windrift has been designed for comfortable and fast sailing. 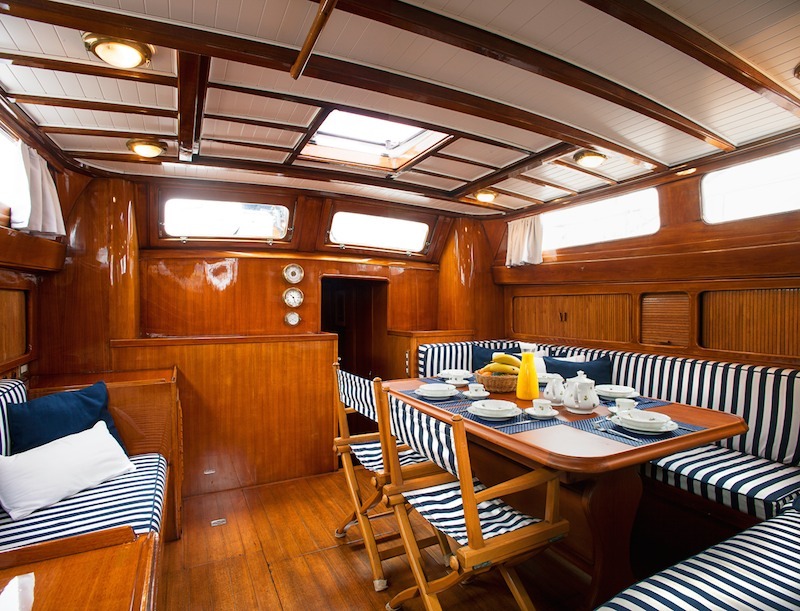 She provides a bright & spacious interior with deck saloon and 4 guest cabins. 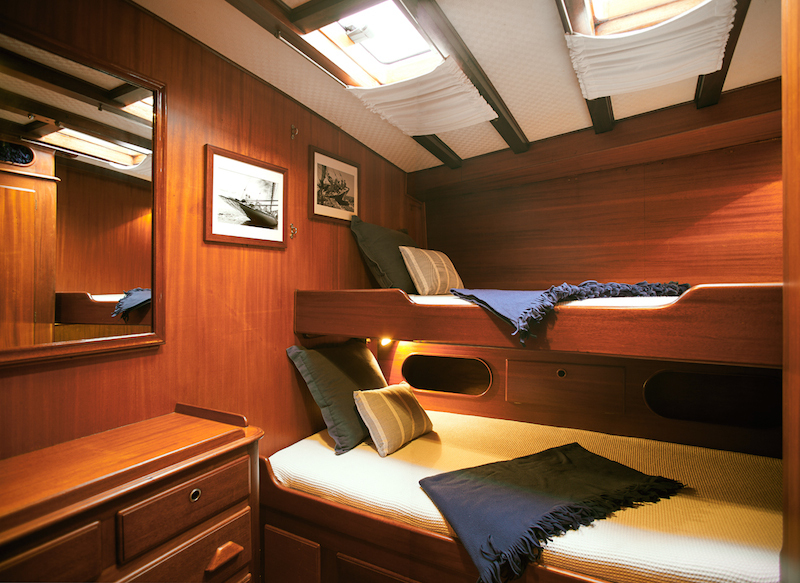 The cabins are equipped with hatches that provide good ventilation. 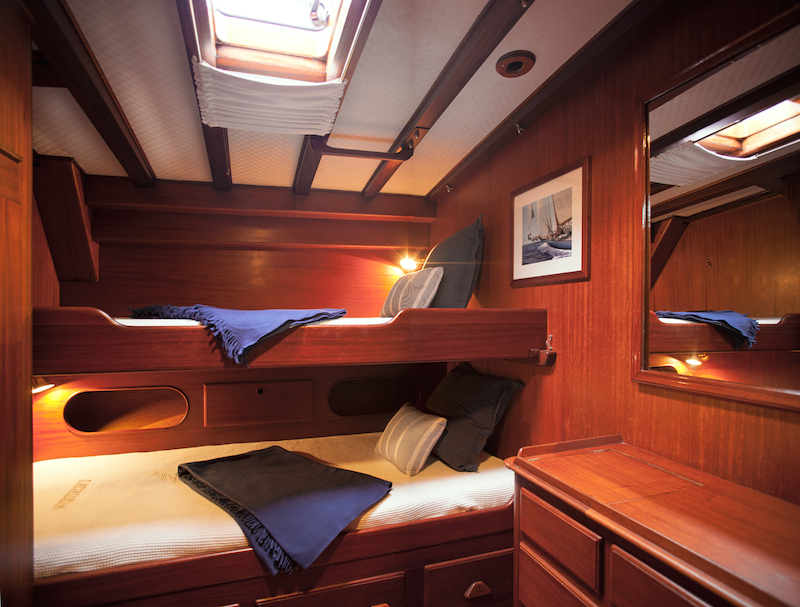 A beautiful panoramic view you have in the deck saloon also invites one to linger during the day. The crew consists of skipper and deckhand upon request with additional chef and hostess. 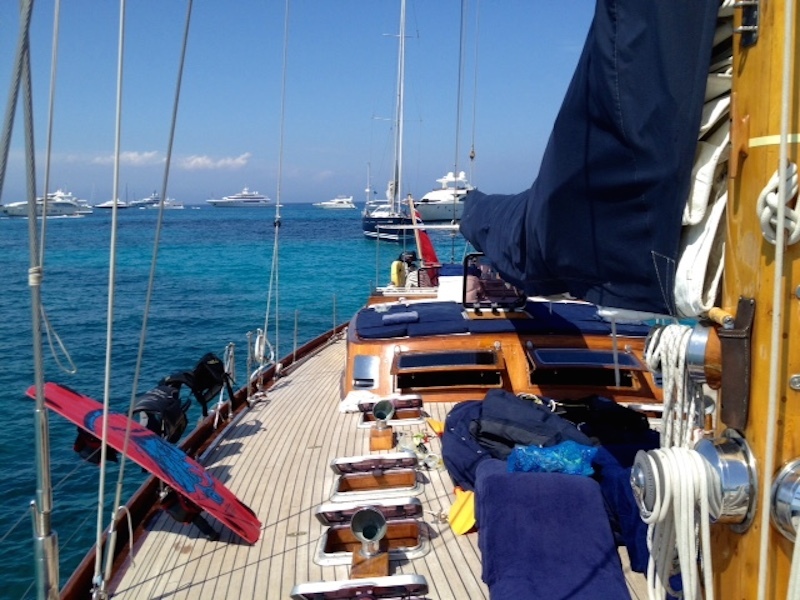 Sailing area are the Balearic Islands, Corsica, Sardinia and Italian Riviera and Côte d'Azur. 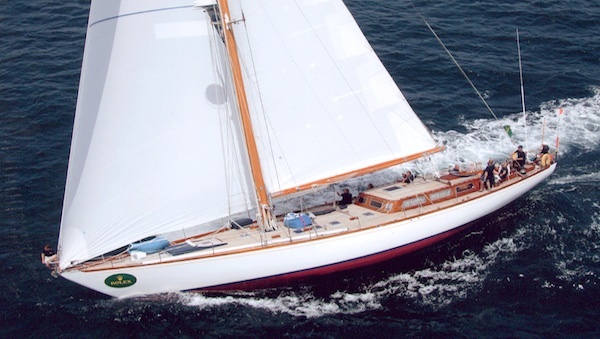 Classic Yacht Windrift is available for week charter, day and event charter. 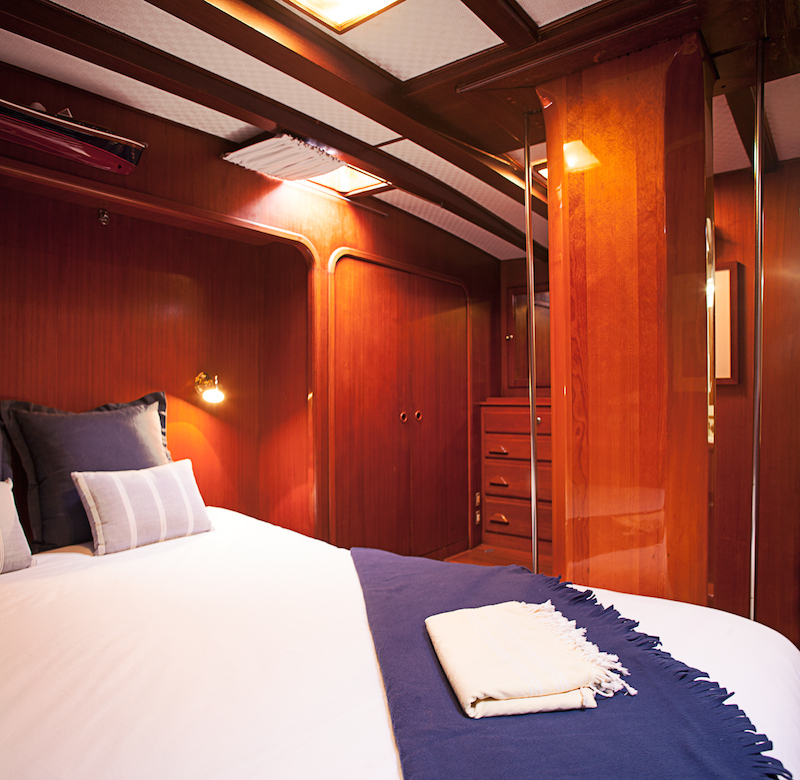 2 cabins on the port side with a double bed and single bed. 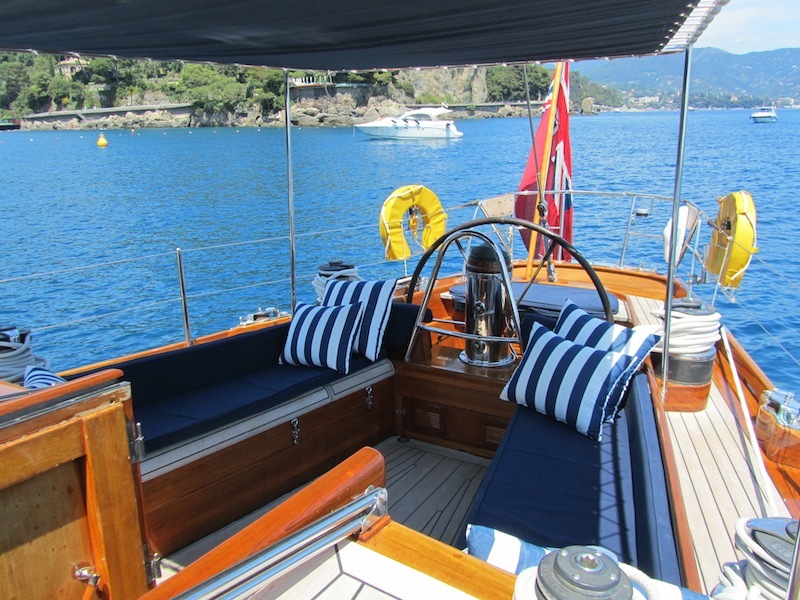 Classic Yacht Windrift is available in Palma de Mallorca for charter around the Balearic Islands. She can also be chartered to the French Riviera, Italian Riviera and Sardinia & Corsica. 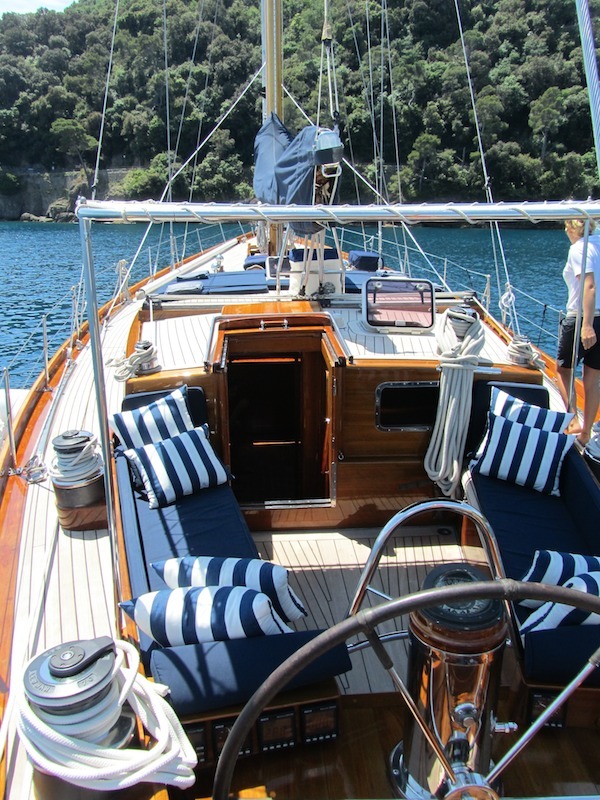 Windrift is available for week charters, day charter, regattas & Events. Maximum can be accommodated 8 persons in 4 cabins. 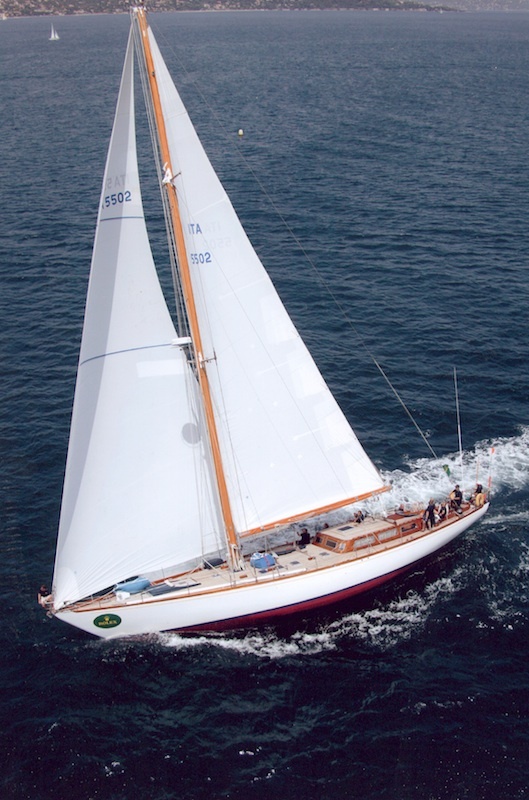 Interested in Classic Yacht Windrift?